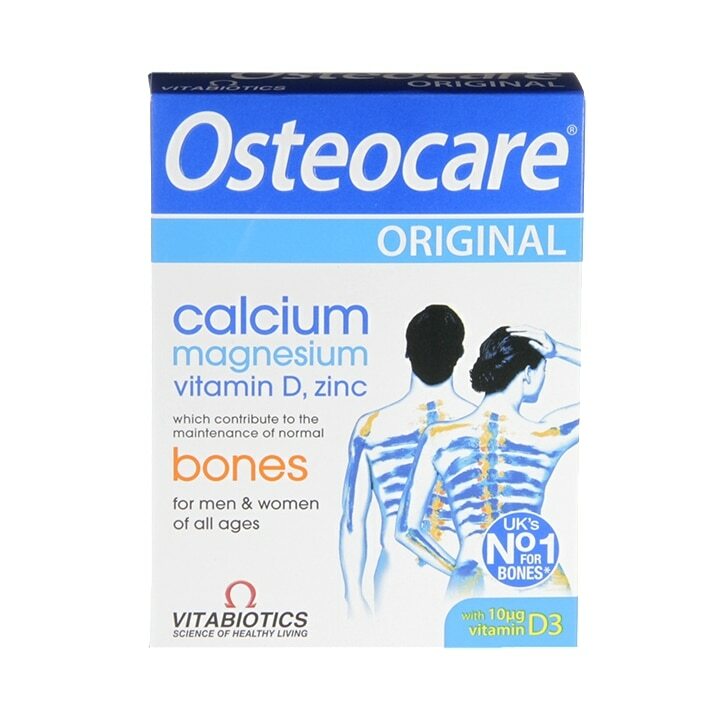 Vitabiotics Osteocare Tablets is rated 4.2 out of 5 by 22. Rated 4 out of 5 by Chefchatchai from Very good I taken this one for long time, and I still take every day. Rated 4 out of 5 by roxana84 from Good I bought this product few months ago and repurchased it after i finished my first box. Great value for the money! Con:the size of the tablet is too big to be swallowed. Rated 3 out of 5 by Ang78 from Too soon too tell I have not been taking these for long enough to really say whether I feel the difference. The size of each tablet is quite large. I don't normally have issues taking tablets but on occasion these do get stuck a bit. Would be better if they could be a little thinner or have a coating to help them slide down more easily.